It’s not that I wish to minimize the importance of Christmas or that I’m unconcerned about religious liberty. In this case, though, I wonder if we actually recognize what we’re really calling for. As the well-worn saying goes: be careful what you wish (or pray, or lobby, or litigate) for. Is it really Christ we want in all of this, or just a nostalgic manger scene to remind us of the good old days? And are we honestly ready for what He’s signaling to us in His Incarnation? What He’s asking of us in taking on our mortal flesh? In the Nativity, we must learn to locate all the facets of what Christ is saying here: peace, trouble, comfort, overcoming. 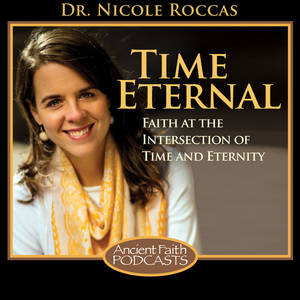 And what is actually happening is–yes–the Incarnation. 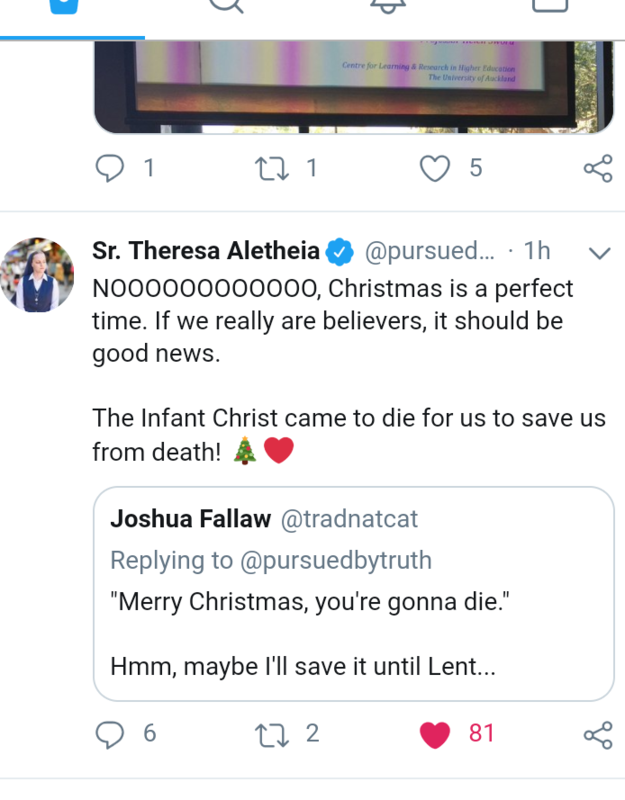 But the Incarnation is in many ways just (“just”!) a prefigurement of the Cross. I encountered this typological connection in a new and mildly humorous way this summer. On a trip to Athens in June, I got a chance to visit the Byzantine and Christian Museum. After a long morning of navigating the city, I spent my first quarter of an hour in the museum just ambling around absentmindedly, fanning myself and trying to find the coolest air conditioning vent. As I entered a room filled with stone panels and murals, a slab relief stood out to me (pun intended). “Why is that person on a funeral bier?” I randomly wondered to myself, my brain still fried from the humid cesspool outside. I quickly self-corrected. 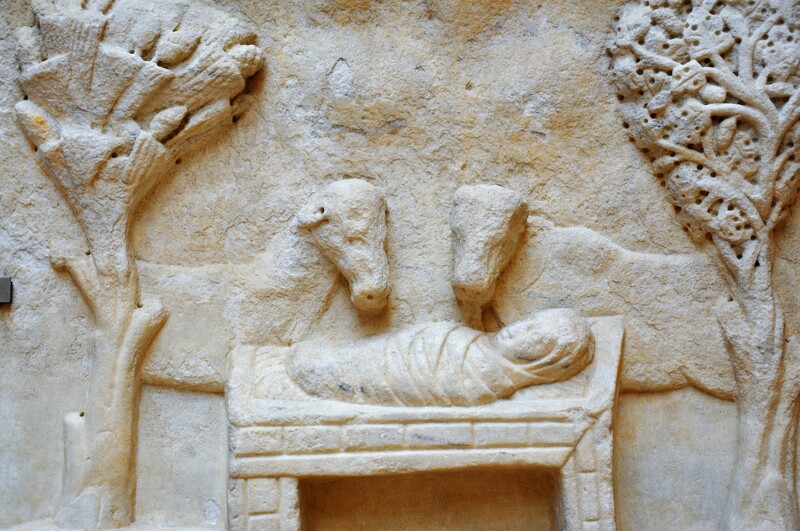 This, of course, was no funeral pyre, it was a manger, and “that person” was the Christ Child. In all fairness, my mistake was not just the result of persistent 100+ degree temps and mild dehydration. We know from our iconography that we are supposed to see something of the Cross, of Christ’s death, in His birth. 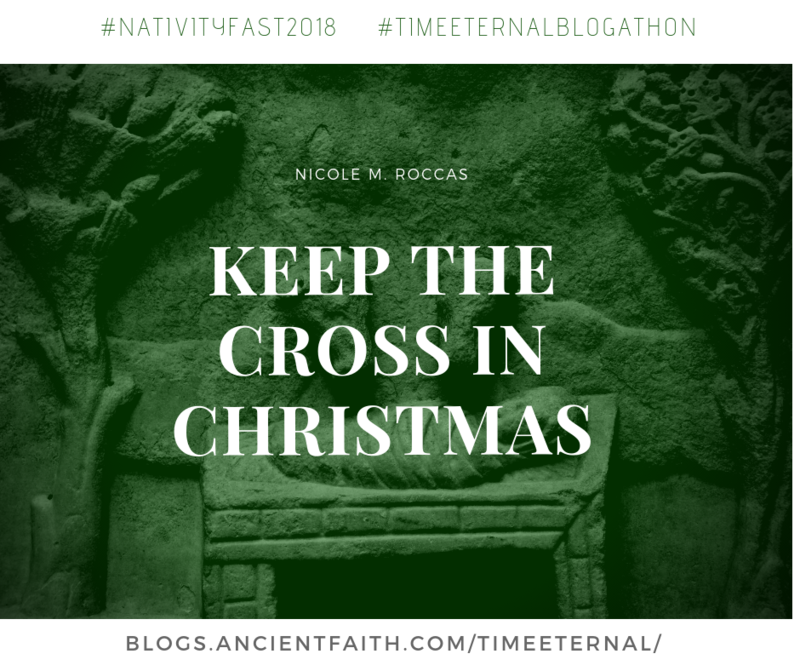 Whether it’s the visual symmetry between grave clothes and swaddling blankets, between the tomb and the cave of the Nativity, between the Holy Cross and the manger, the Nativity is kind of one long spoiler alert of Christ’s death. 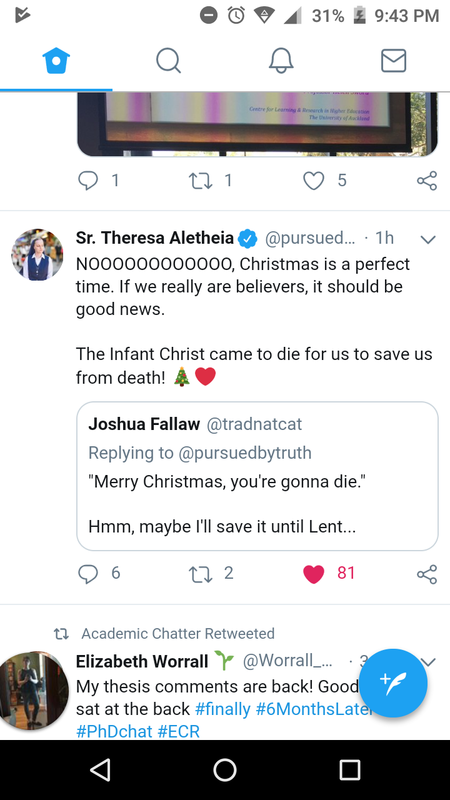 You cannot separate the Incarnation from the Cross, nor should we seek to, as Sr. Theresa Aletheia from Twitter rightly (and sweetly) points out. In our pursuit to “keep Christ in Christmas,” the war we should truly be waging is not so much a cultural or constitutional one. Rather, it should be a battle we fight within ourselves, with God’s help, to come to see all of life through the tragedy and hope of the Cross. It is only in doing so, I think, that we can begin to occupy the joy of this season with the fullest magnitude of our being in Christ.